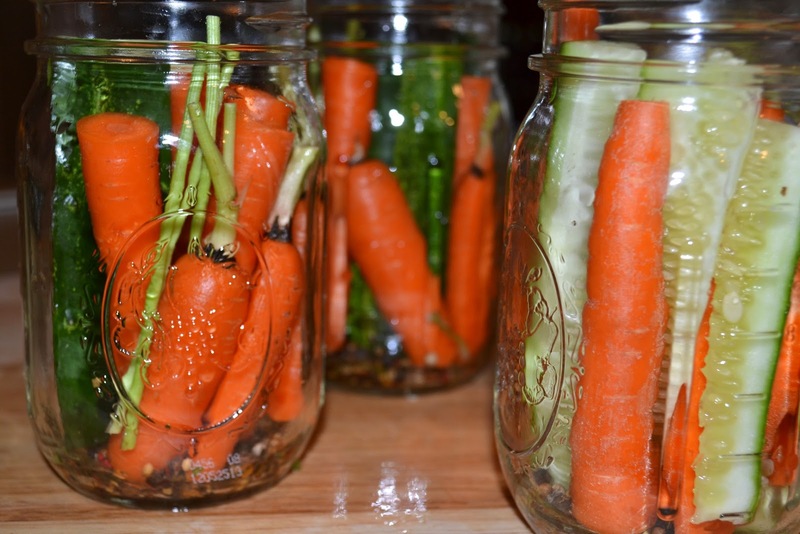 This is the season that we are looking for ways to use and to save fresh produce out of our garden. 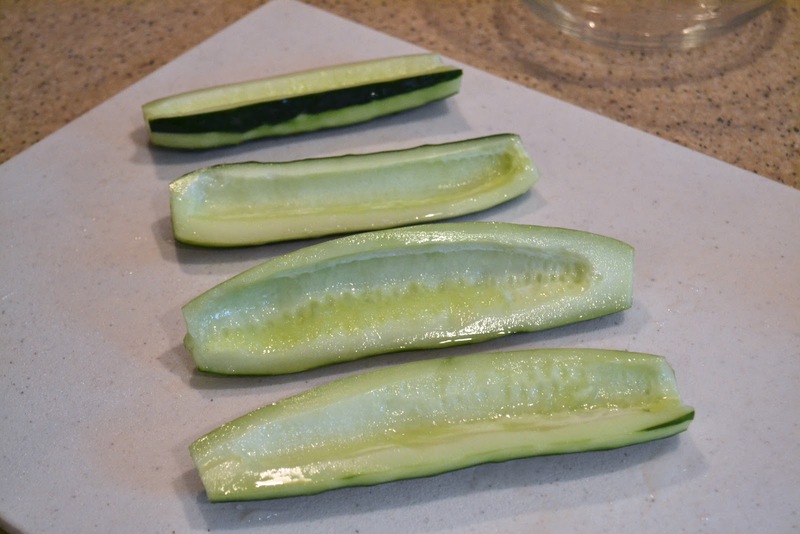 The challenge this week has been for a unique way to save some of our home grown cucumbers. We came up with a simple refrigerator pickling process that doesn't require us to cook or to seal the jars, but this time-saving technique means we must keep them in the refrigerator and use them within 6 months. 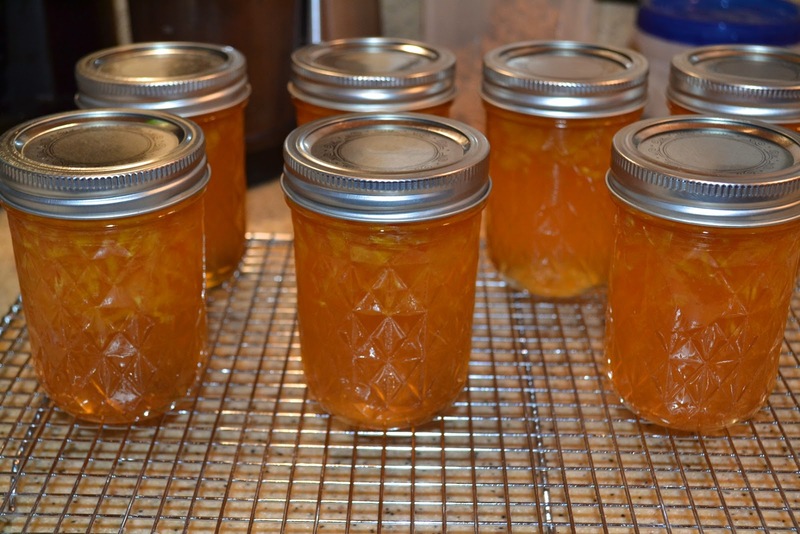 The only research I did this time was some quick Googling around where I found this recipe on allrecipes.com and this one from About.com on Local Foods. 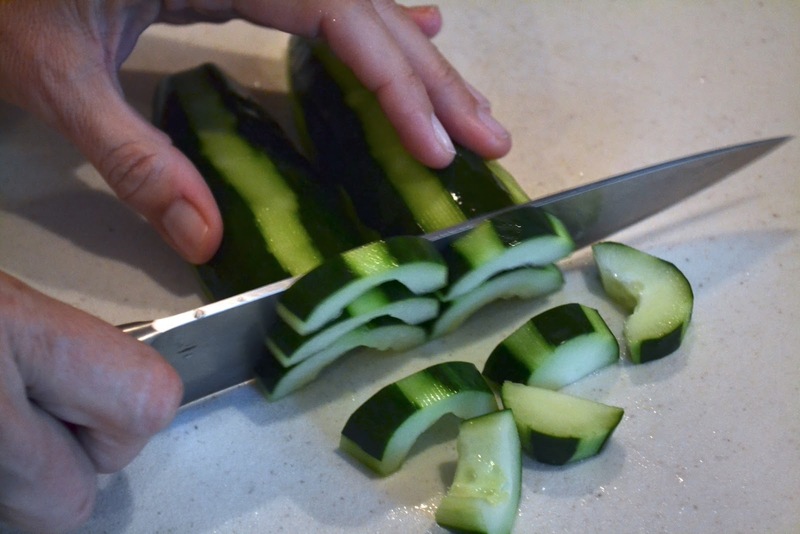 I used a modified version of this for my receipe. 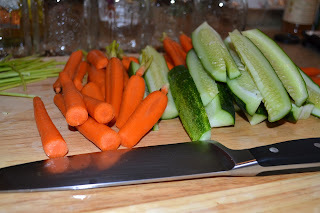 Slice up the carrots and cucumbers while preparing the brine. 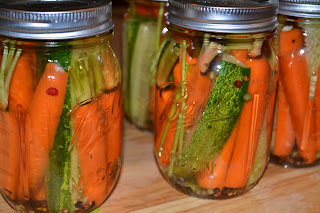 Stuff the cut-up veggies into freshly washed jars, pour in the brine, seal and place in the fridge. Pretty simple and quick. 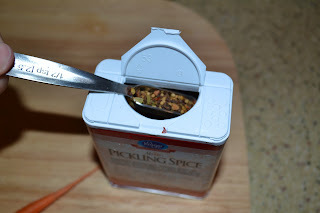 I also picked up some pickling spice mixture to add a little kick. The ingredients include apple cider vinegar, white wine, sugar, salt, pickling spice and peppercorns. 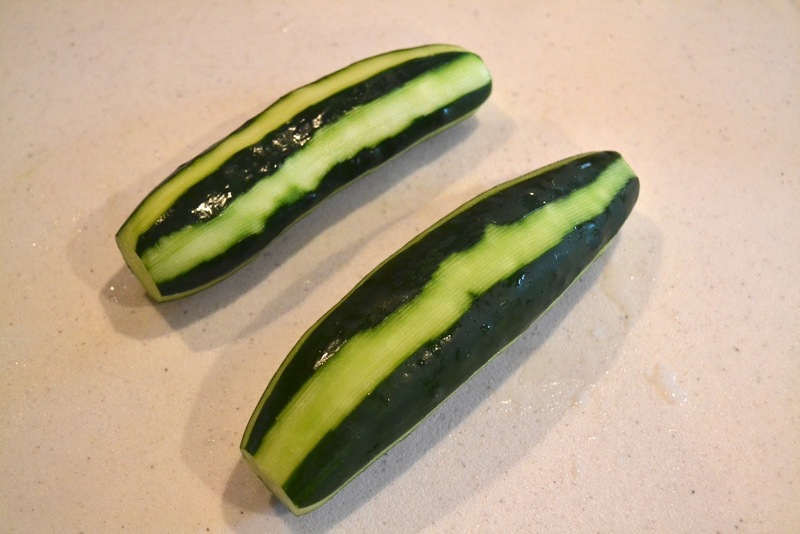 First grow some cucumbers ;) and pour a glass of wine. 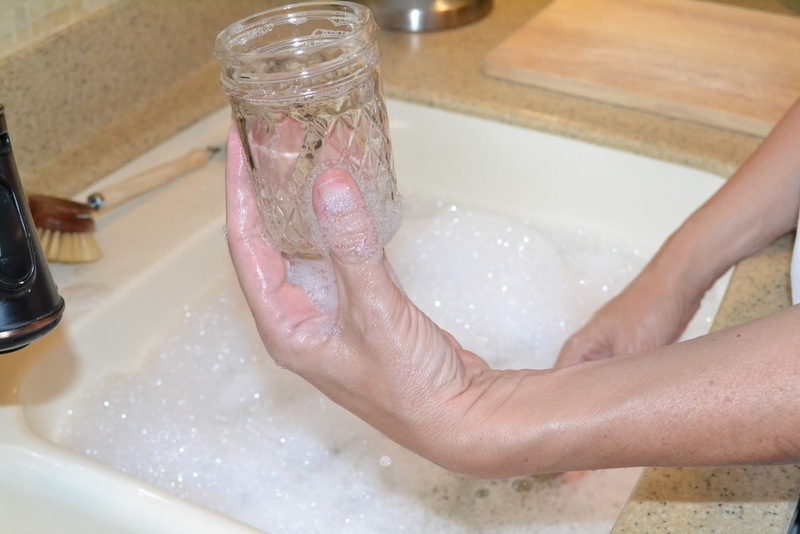 For every pint jar you make: Heat 1/2 cup of white wine, 1/2 cup of vinegar, 1 tsp of salt and 1 tbsp of sugar. Bring it to a boil for 2 minutes. I used an old bottle of Moscato white wine that I was pretty sure wasn't going to see the bottom of a glass. So, I was a little concerned that the sweetness of the wine might have a negative effect on the results but it turned out fine. 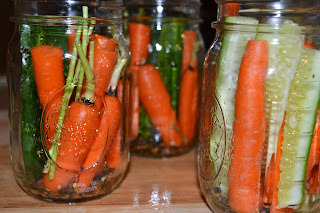 Then Stuffed everything into the jars. 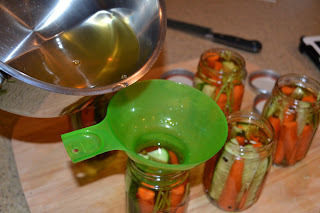 After the brine boiled for 2 minutes I decided to cool the whole thing down to 150 degrees or so before pouring into the jars because I was afraid the very hot liquid would break the jars. 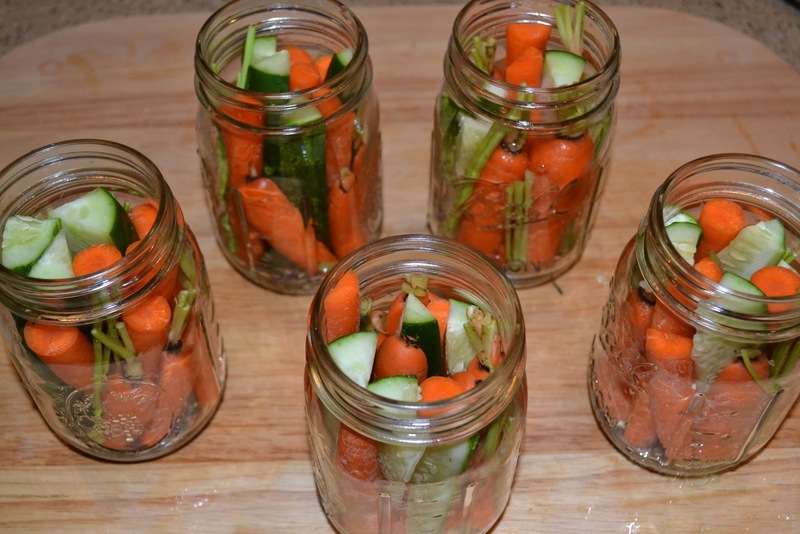 Finally I tightened the lids finger tight and put them in the fridge. 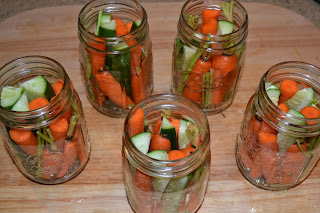 I let these pickled carrots and cucumbers sit in the refrigerator for one week before pulling them out and trying them so that I could report to you how it tasted. After one week we were delighted with the results. 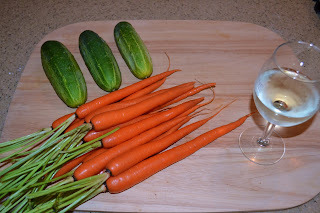 They tasted light and tart and tangy and the vegetables were still crisp. It was exactly what I was hoping for. 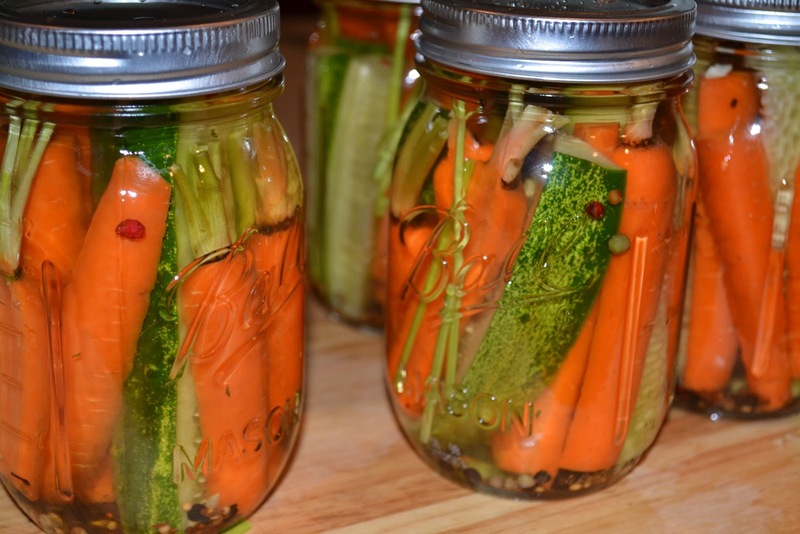 Don't hesitate to make these. 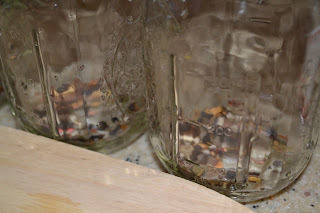 We will check back in later as they age and see how the taste changes, but I can say at one week they are really good. 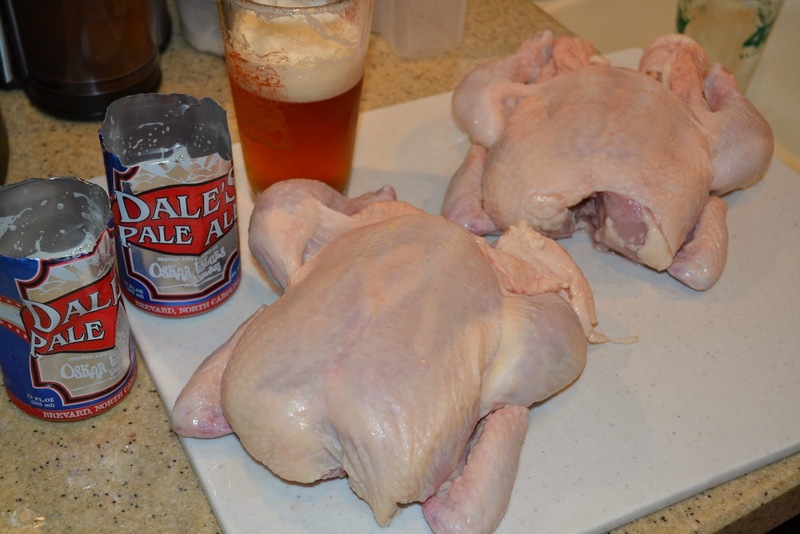 It is time to make the famous beer can chicken. 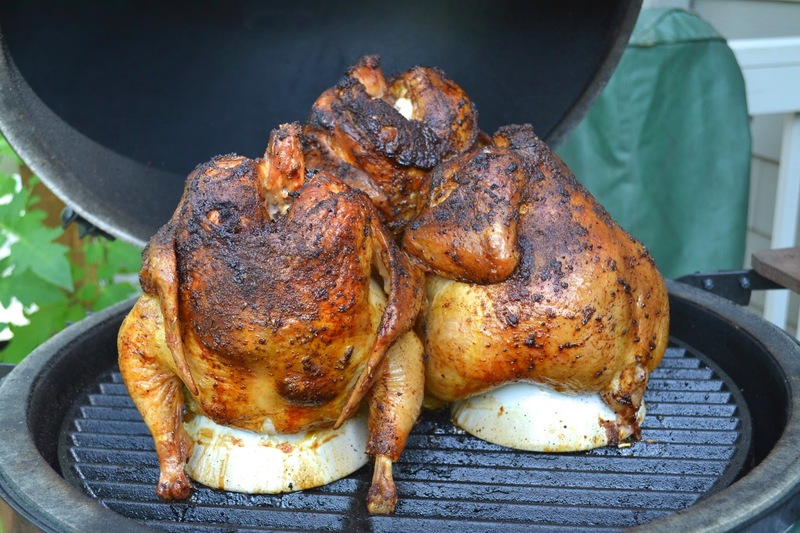 Anyone who has been grilling for any amount of time has heard of the fabled beer can chicken. This is the weekend. Let's see what all the fuss is about. 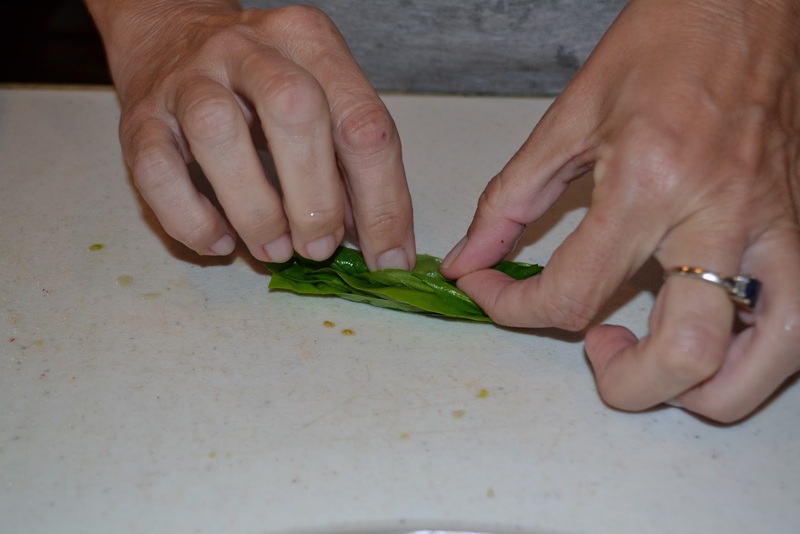 This recipe is the perfect example for why we decided to do this blog. There are tons of resources for beer can chicken, but I couldn't find any of them that seemed really good. That doesn't mean there aren't any, I am sure there are, but I couldn't find them.I looked here and here, and between these and just some googling around I was able to piece together a plan. I did note that almost every place I visited was really promoting some product, like a stand to hold the chicken, or the beer, or the BGE itself. Forgive me for saying it, but the BGE needs no selling. You just need to show what the machine is capable of producing! Get two whole chickens because I want to feed 5 (including one very hungry 14-year-old boy). I usually like to source meat and produce at Whole Food or the farmers market because it makes me feel like it is higher quality. Not sure that it is. Buy some beer along with some sides that I'll skip for this. We are focusing on birds here. Cut the top off beer cans, pour about half of the beer out (or just drink it). 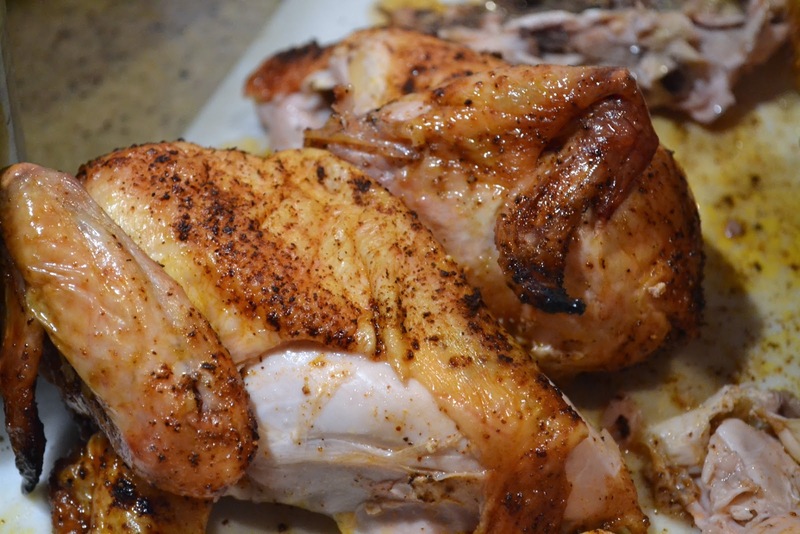 Wash the birds, rub one bird with 3 beer BBQ rub on one side, and on the other bird just salt and pepper. 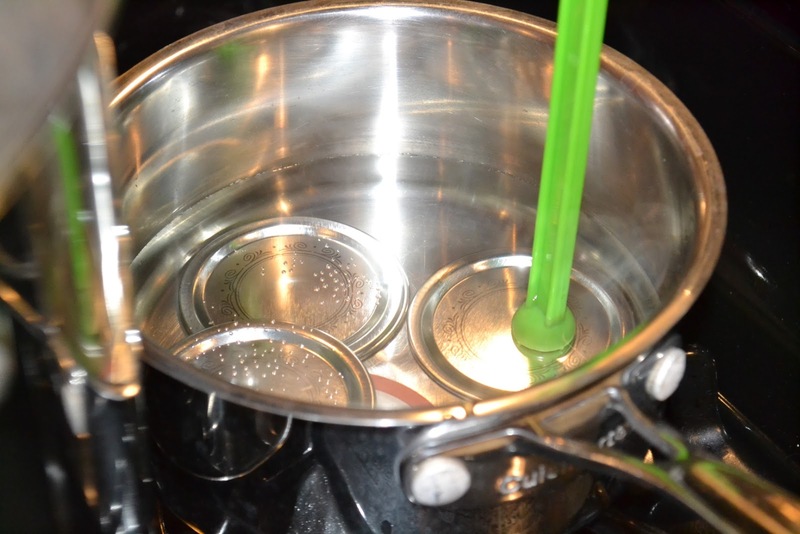 Mount the birds on the cans in disposable aluminum pans. 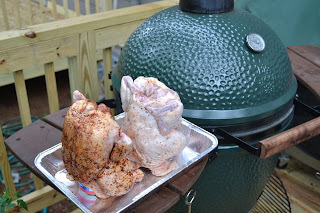 Get the BGE to 375 degrees and cook the birds until their internal temp reaches 175 degrees. This was surprisingly difficult. 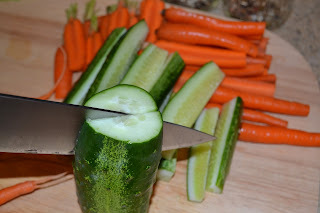 I used a box cutter and nearly cut my finger off several times. There must be a better way. I don't see why you couldn't leave the top on and just open the can. 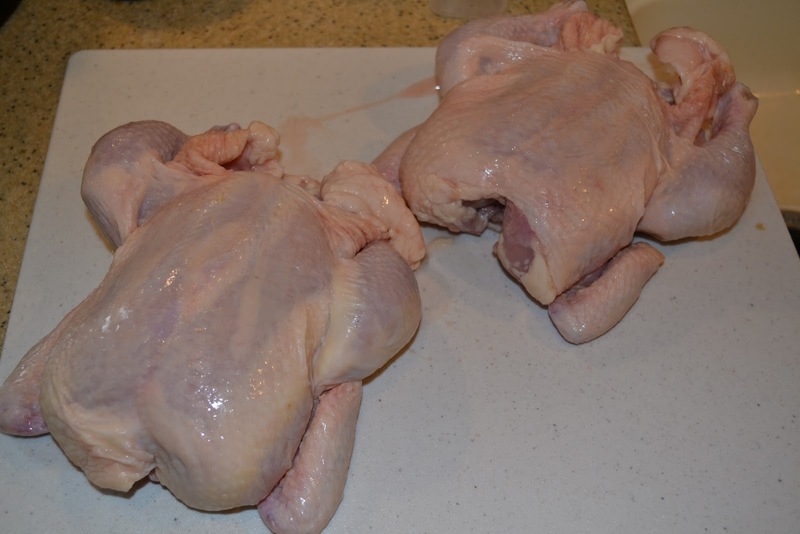 Here are the birds before we put them on the BGE. One bird has the 3 beer rub and the other is simply salt and pepper. You can see that the BGE is at about 400 degrees. I decided not to put the plate setter in because I figured the pan would accomplish the same thing, plus I wanted to char some veggies after cooking the birds, and as you probably know, it isn't easy getting the plate setter out at temperature. They ended up on the grill for about 1 hour 15 minutes ...a recent effort required 1:30 minutes. 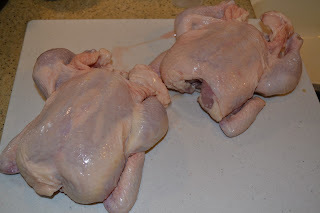 Don't rush it, let the chicken get to 175 minimum and check for tenderness... before the breast reached 175 degrees. I took the temperature in several places on the birds but figured out that mid breast seemed to be the last part of the bird to get hot. 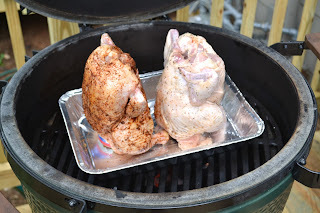 When I pulled the birds off the BGE, the beer cans were still a quarter full or so. 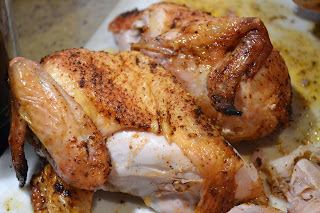 It was the best version of chicken we have made on the BGE. Really juicy and tasty. This will be the standard way I will be making chicken on the BGE. It is simple and quick and the birds turned out perfectly. 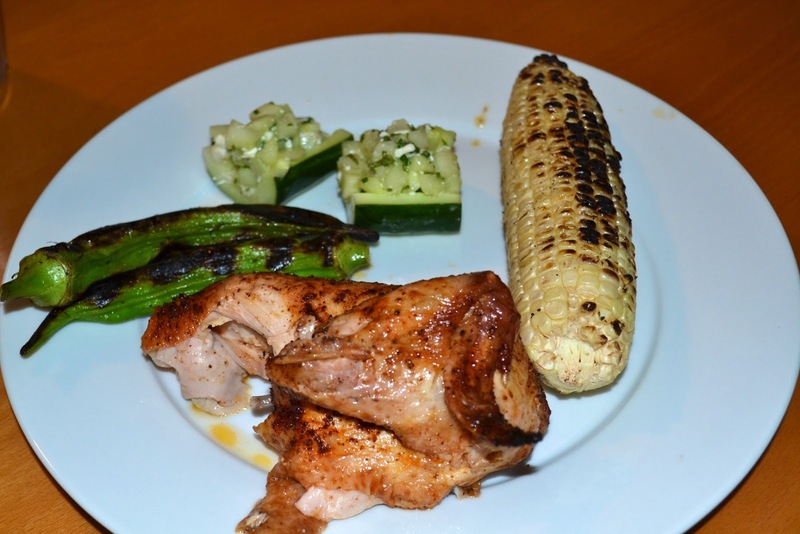 This seems to be a simple and no-fail way to make tender and moist chicken on the BGE. Don't cut the top off the beer. I don't think it would make any difference. In my opinion, the beer imparted no flavor into the bird. It only provided steam and a way to get more heat into the middle of the bird so that it cooks more evenly. Put the rub under the skin as well as on top. Some people don't eat the skin and miss out on the rub. 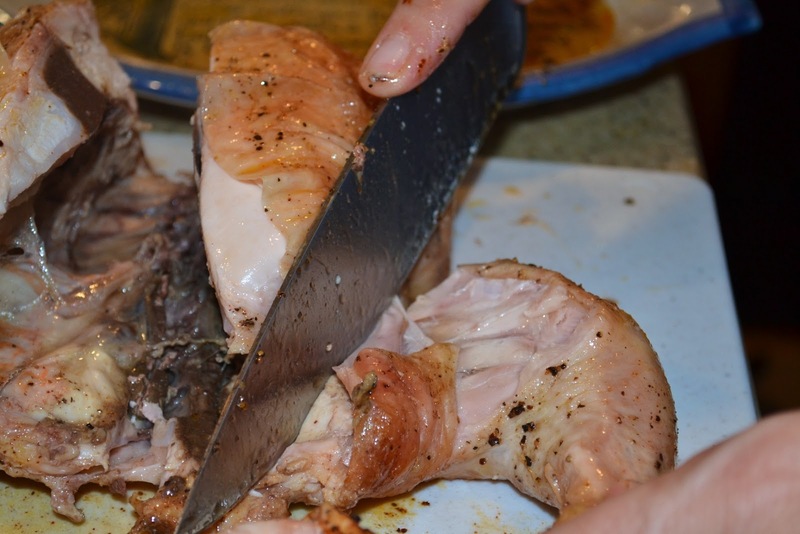 Don't discount the importance of the whole bird cooked bone-in. This adds a lot of flavor by itself. 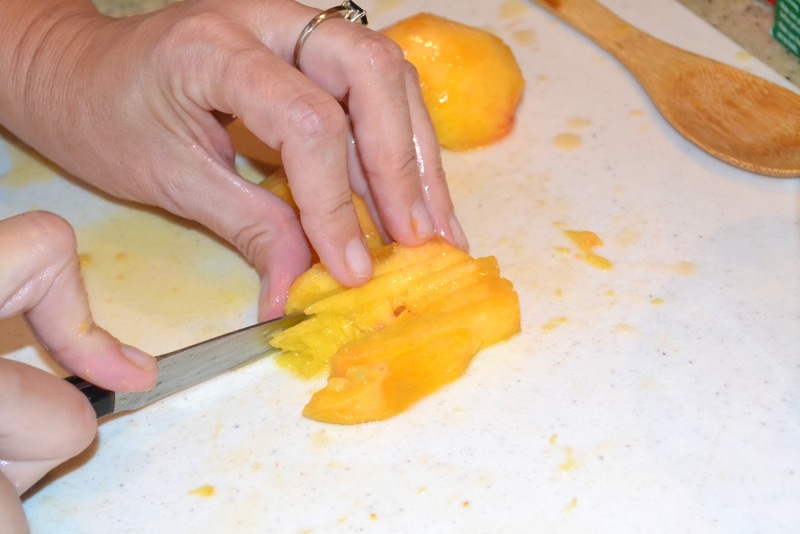 It is peach season in Georgia, and as such we are celebrating the occasion by making homemade peach jam just as we saw our grandmothers make. 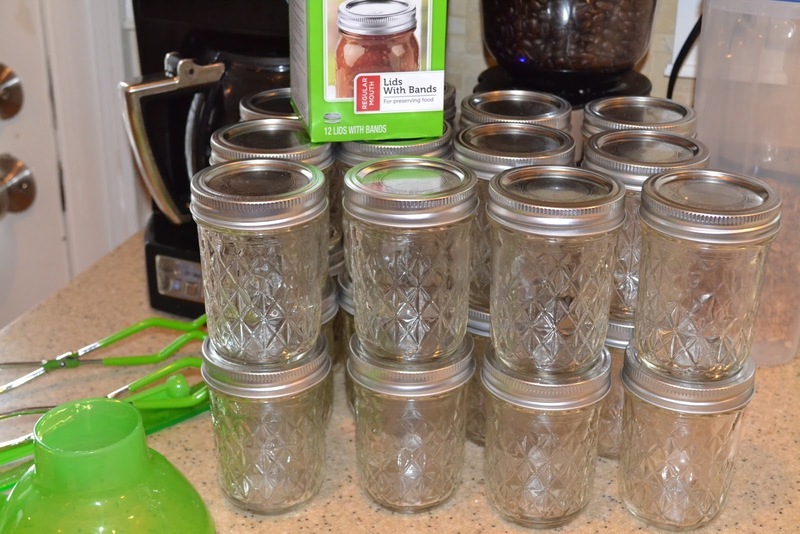 We are going to make traditional jam, and we are going to make a batch or two that has a little bourbon in it. Oh, and let's not forget the ingredients. 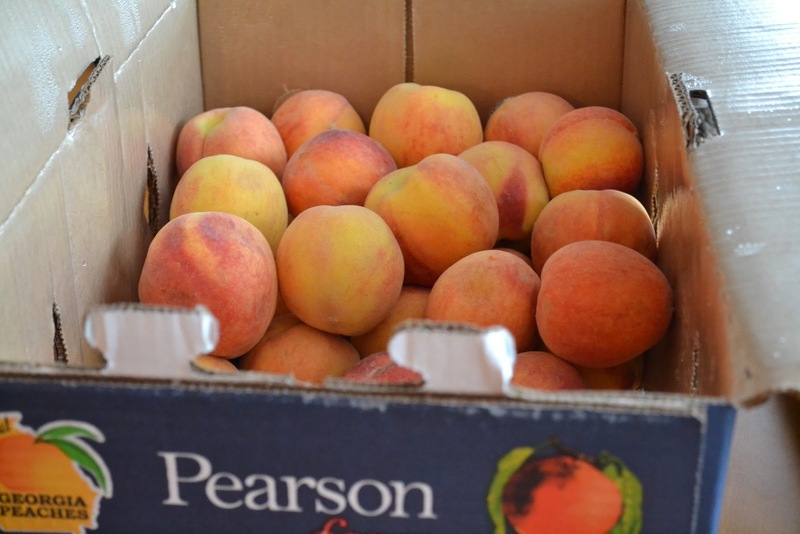 We purchased a box of fresh Georgia peaches from the local farmer's market, a 25-pound bag of sugar (yeah, jam has a lot of sugar in it), lemon juice and the liquid pectin that was mentioned previously. We also used a little Maker's Mark. Blindly follow the directions in the Ball Blue Book because neither of us has ever done this. For this, sadly, no wine. 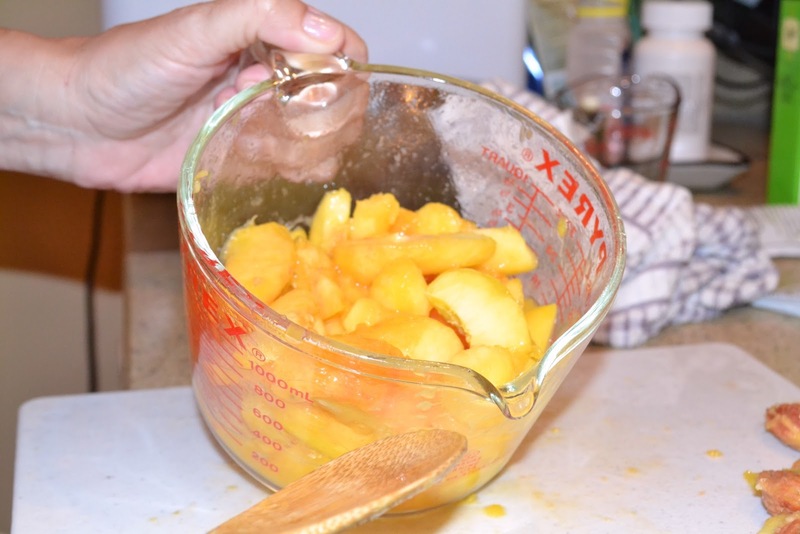 Dice up 4 cups of peeled peaches. 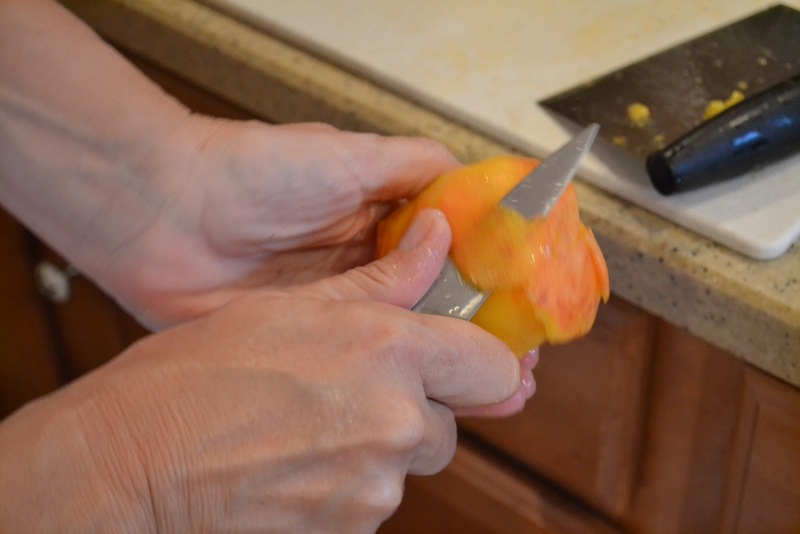 For us, that was about 7 peaches. 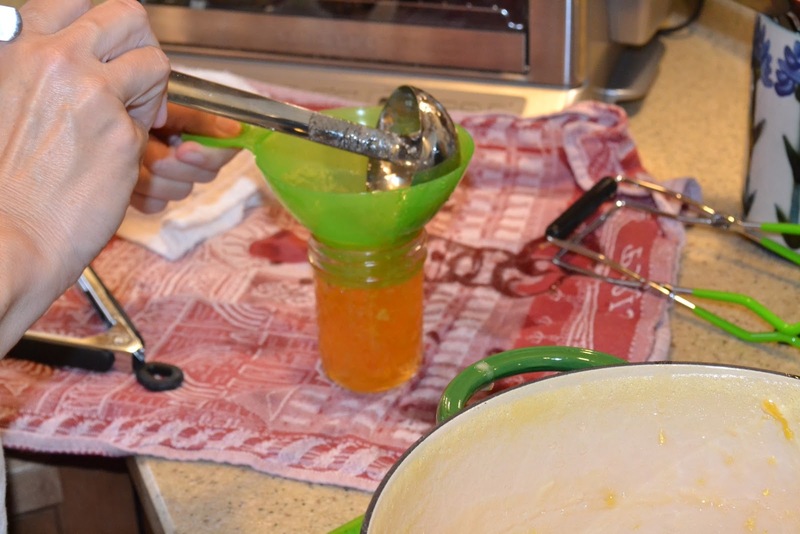 Then measure out 7 1/2 cups of sugar. 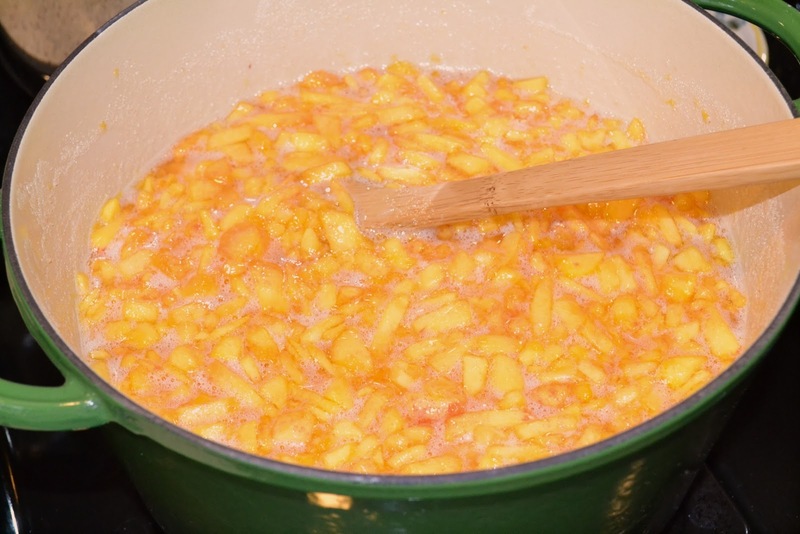 Combine the peaches, sugar, and 1/4 cup of lemon juice in a sauce pot. 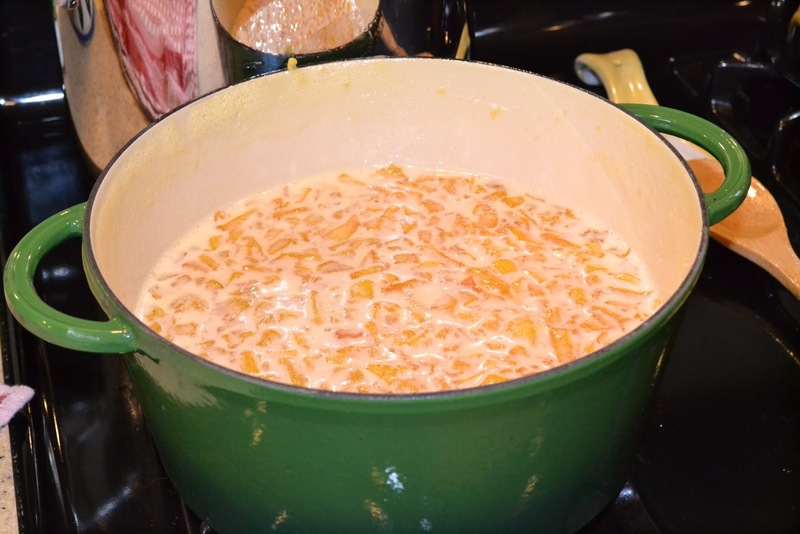 We used a 5 quart pot and wished that we had used one a little bigger. 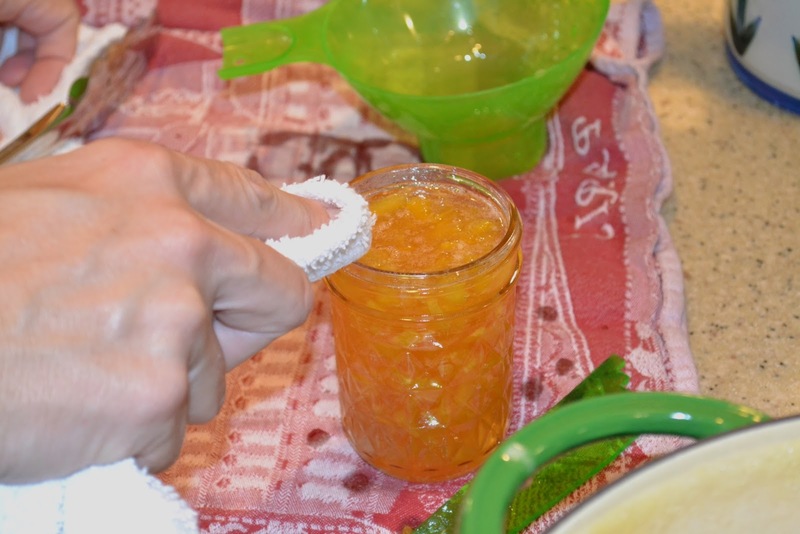 Finally, we also checked the jam consistency to make sure they set up correctly. 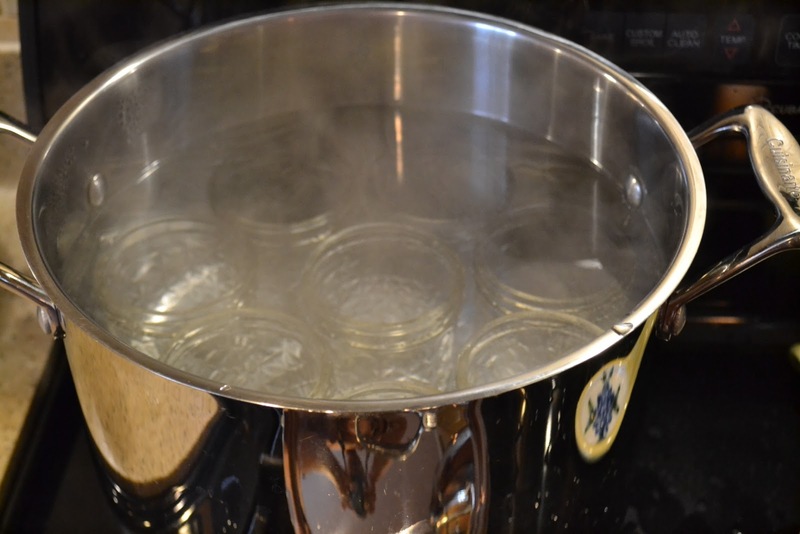 We turned the jars sideways to see if the air bubble would travel in the liquid. Sadly, we did have one batch out of our four batches that was a little more liquid than we hoped, but after a couple more days, it seemed to firm up. This was a process. 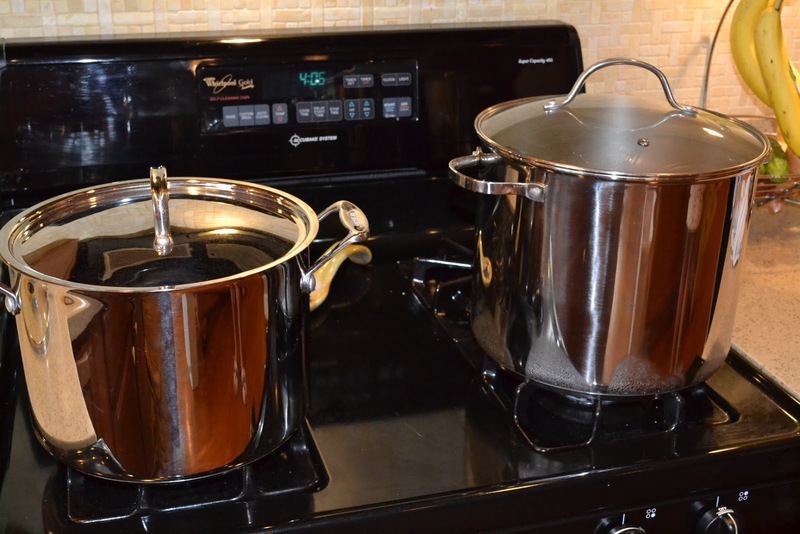 It took us a whole day on Sunday to get two batches done, and then we returned to the process after work the following Monday for two more batches that took us until midnight to complete. In the end, the jam is delicious, and we hope to share it with friends and family to give them a little taste of Georgia and Kentucky. 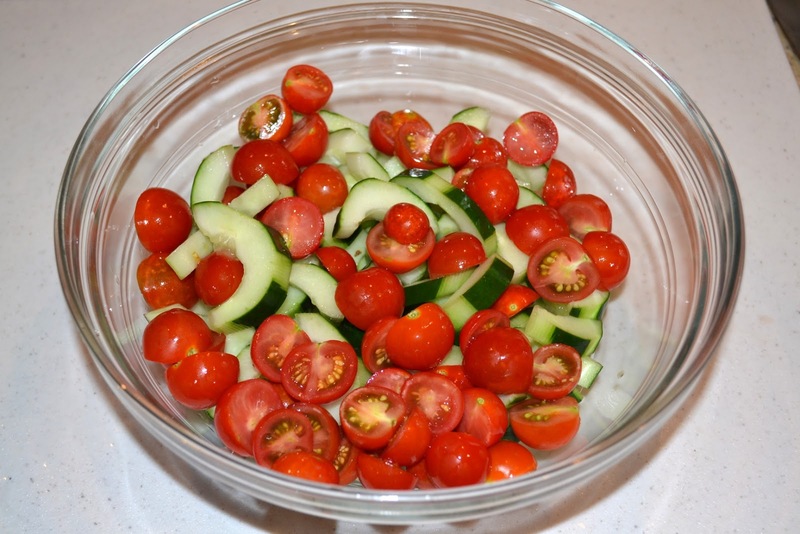 This week we decided to highlight a weeknight meal that utilized fresh tomatoes and cucumbers from our patio container garden. After all, 'tis the season. Not much. 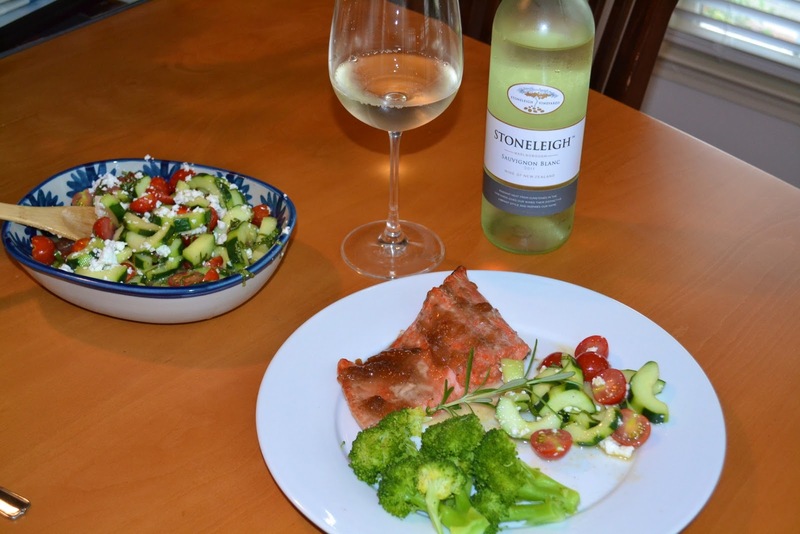 We have cooked this in the past and have had great success making salmon on the BGE. If you haven't tried it, you must. Most restaurant salmon (especially the casual dinning chains) have very salty and very overcooked salmon. Homemade is almost an entirely different dish. 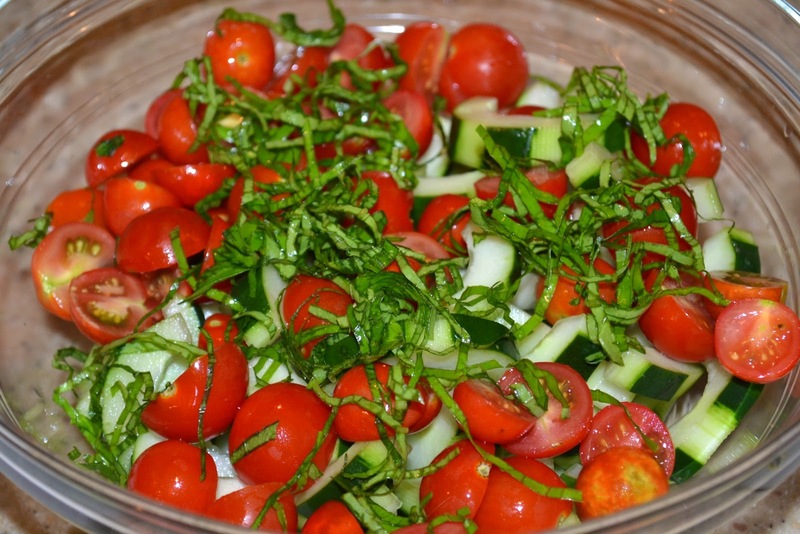 The salad recipe we simply made up, but it is based on common receipes. 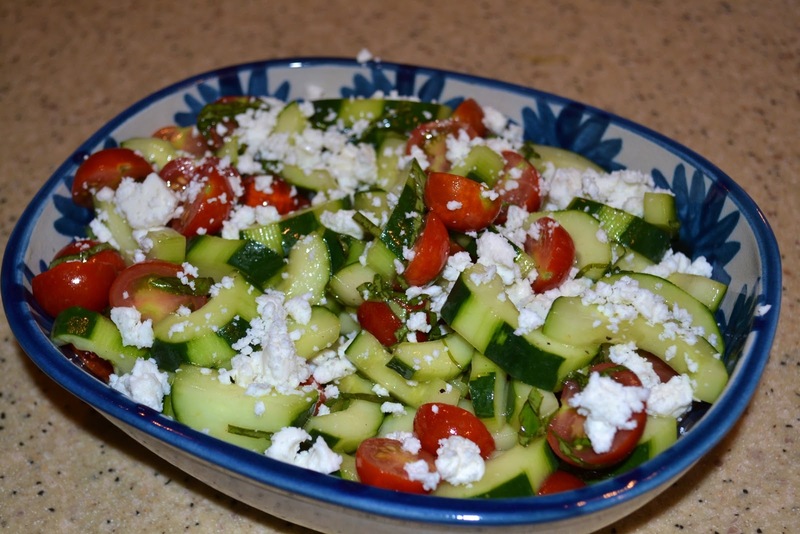 We used cucumbers, cherry tomatoes and basil from our containers and then sprinkled on some feta cheese that we had left over from a trip to the cheesemonger at Star Provisions, a must-visit cheese shop if you find yourself in Atlanta. 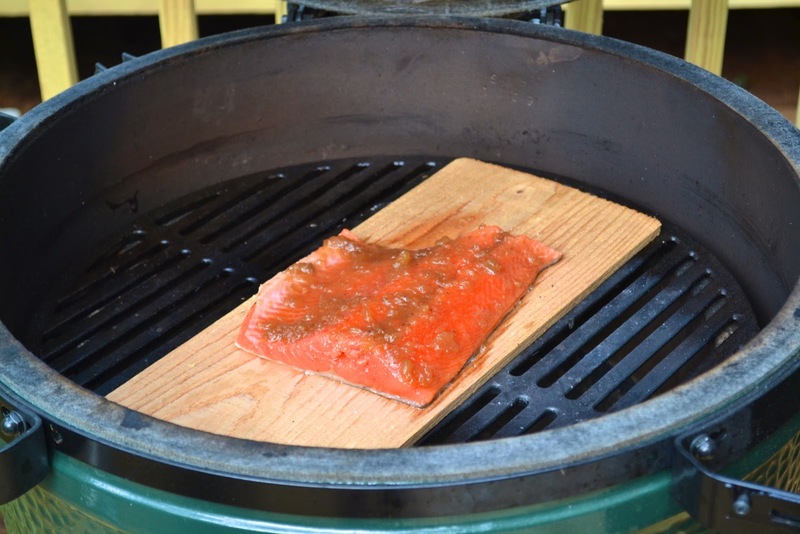 We normally get the egg to 200 or 250 degrees, place a piece of salmon on a cedar plank, and cook it until the fish starts to become flaky. Pull the fish off the grill before it gets too done because the fish will continue to cook even after it is off the grill. You are looking for flaky and creamy. We have found an internal temperature for salmon of 125 degrees is the tastiest doneness. 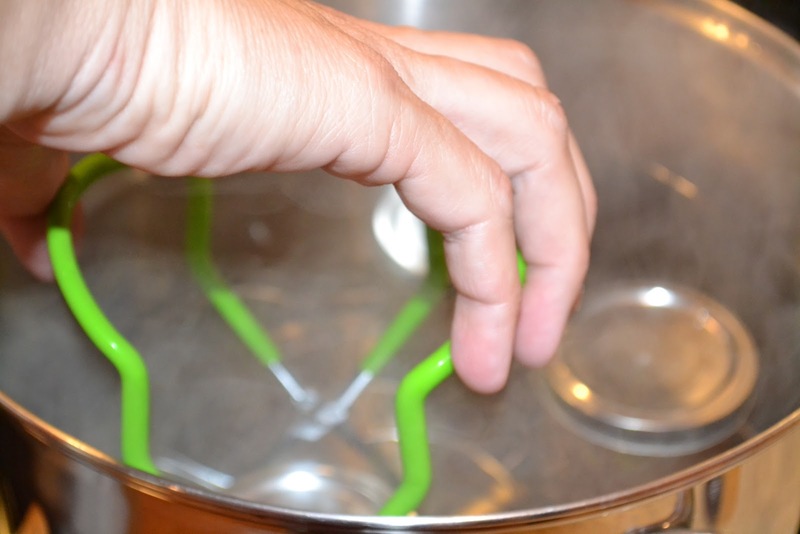 You will see that some people suggest cooking salmon to as much as 145 degrees. Experiment with it and find what you like best. Make the salad first. The salmon goes really quick once on the grill, so we lit the grill and let it get up to 200 degrees or so and made the salad in the meantime. 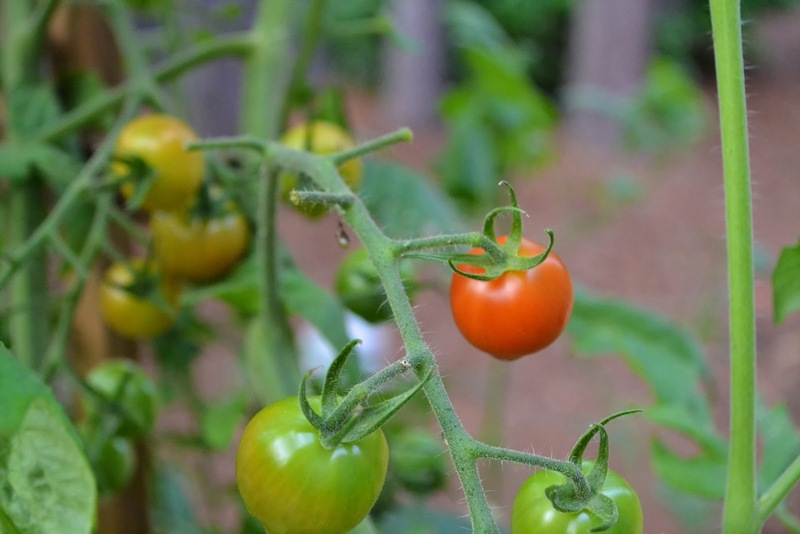 Here in Atlanta, it is tomato season. The plants that we started just after Easter are starting to bear fruit. We grow both tomatoes and cucumbers in containers, as well as a variety of herbs, including basil. Looking great and smelling even better! 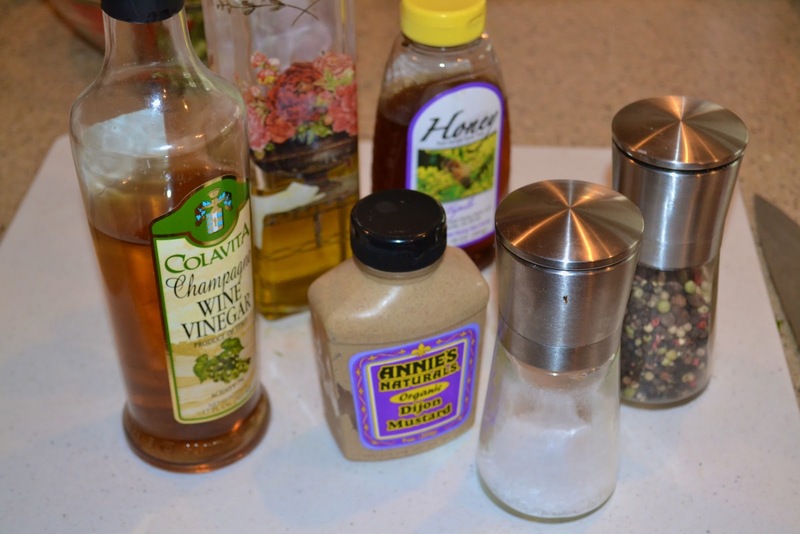 Whip up some homemade champagne vinaigrette. 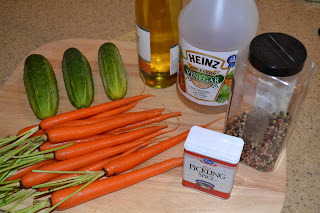 Use what you like, but a quick homemade vinaigrette is delightful on a fresh salad. Mix 2 oz vinegar of choice (we like champagne vinegar for this dish), 1 teaspoon of dijon, 1 teaspoon of honey, and a pinch of salt and pepper. 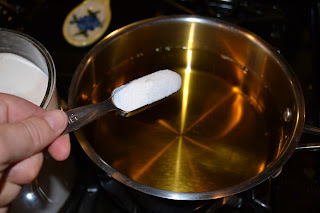 Then whisk in 1 oz of olive oil. Taste it. You can adjust acidity and sweetness by adding vinegar for more acidity, more olive oil for less acidity, and honey for sweetness. 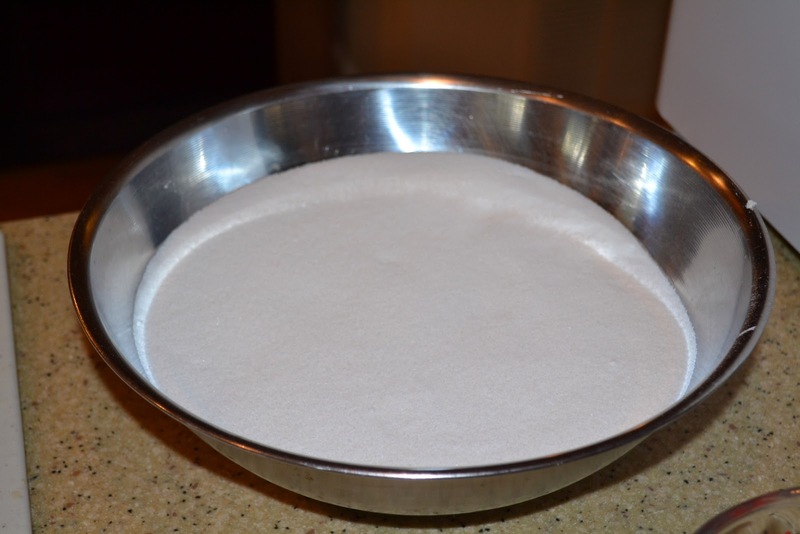 Sprinkle on some fresh feta or whatever mild fresh cheese you like. Freshly grated parmesan would also be lovely. 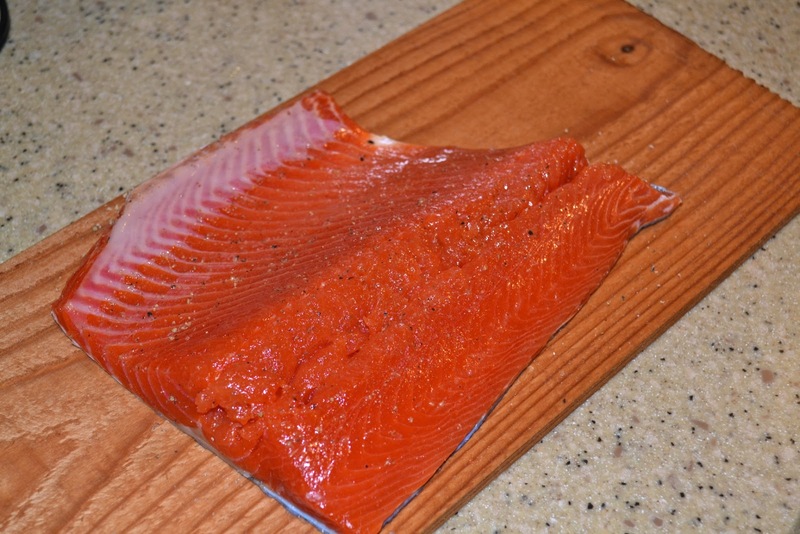 Alaskan wild salmon with the skin on. 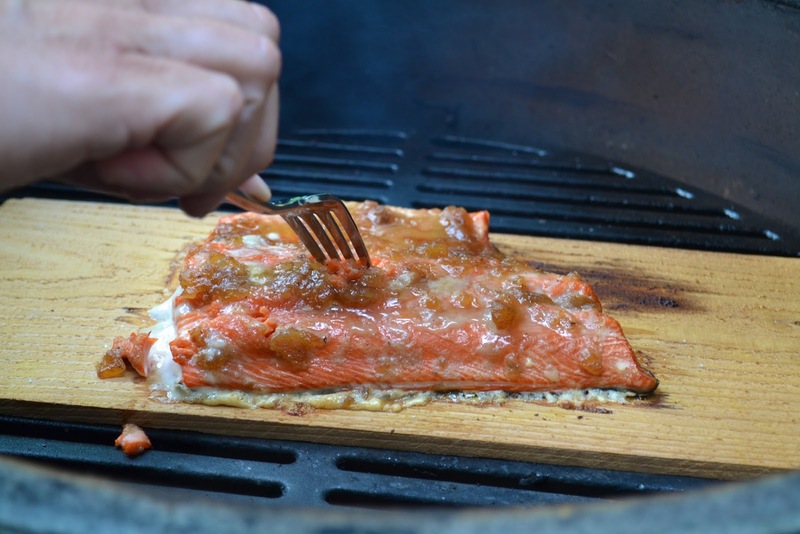 We soak the cedar plank in water for about 30 minutes and place the salmon directly on it. Nothing wrong with finding quality, store-bought marinades and sauces. 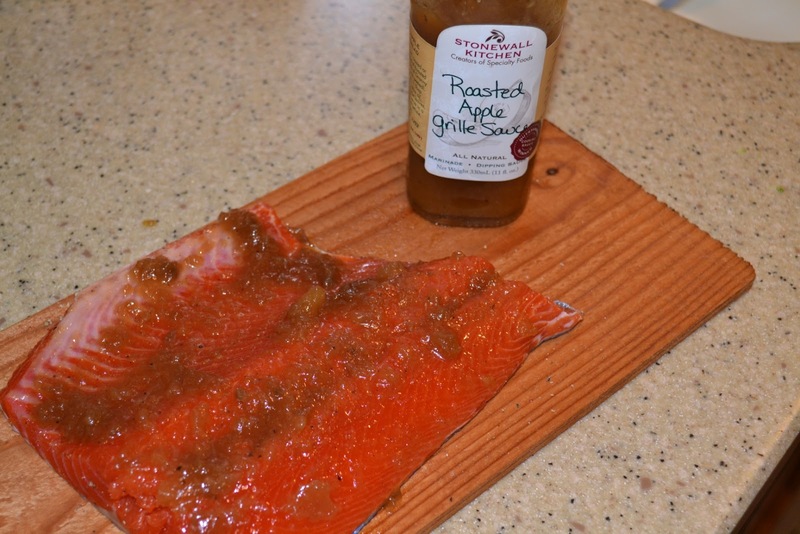 This is our favorite marinade for salmon: Stonewall Kitchen's Roasted Apple Grille Sauce. Close the lid. If you're lookin', you're not cookin'. 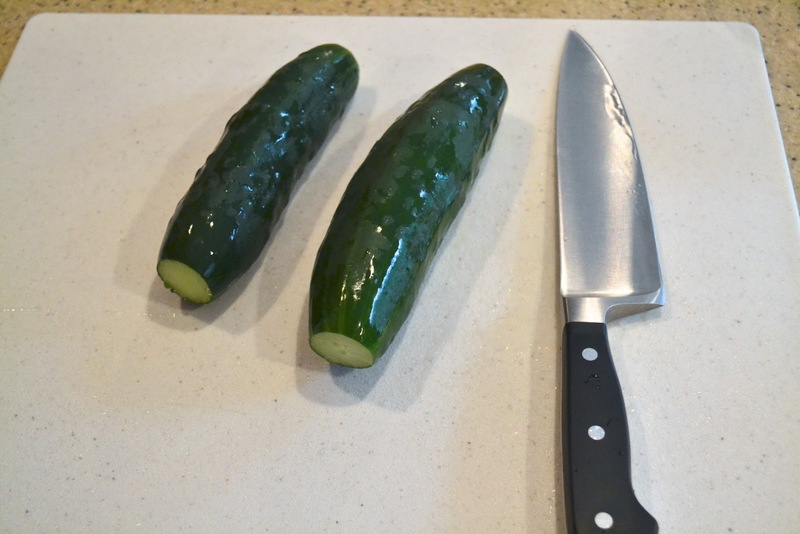 I like to set a timer for 5-minute intervals and then open the lid and check for doneness. 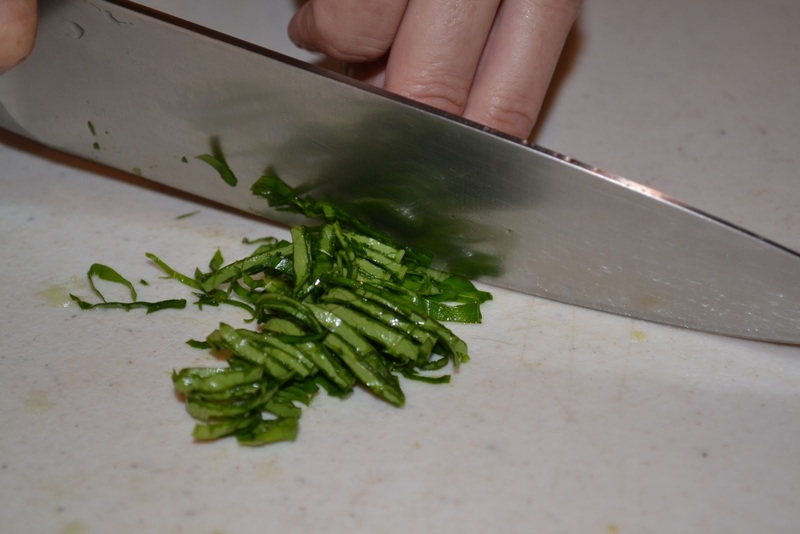 If you're a home cook like us, you will probably want to just open up the fish just a little in the thickest portion to check for doneness. depending on the grill temp. 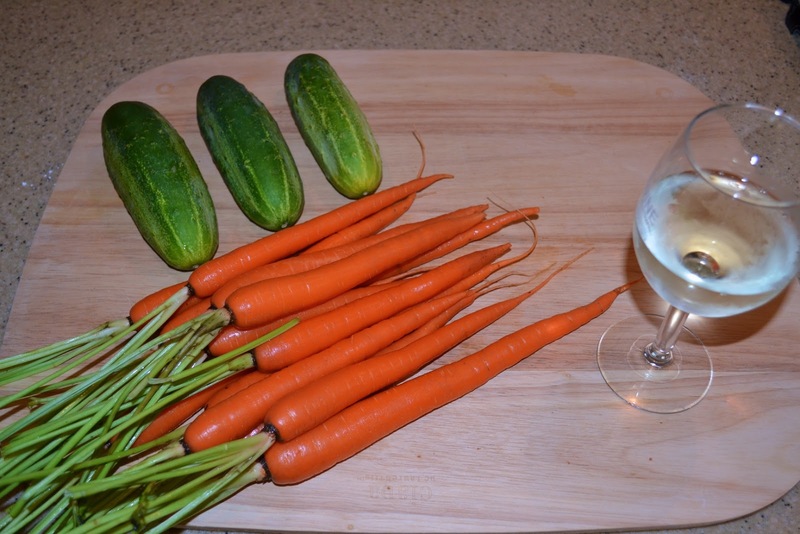 Add a little wine and some steamed broccoli and you have a quick, healthy and delicious dinner.